Thanks to the success of films like Bohemian Rhapsody about Freddie Mercury and Rocketman about Elton John, we're looking at a long few years of music movies. 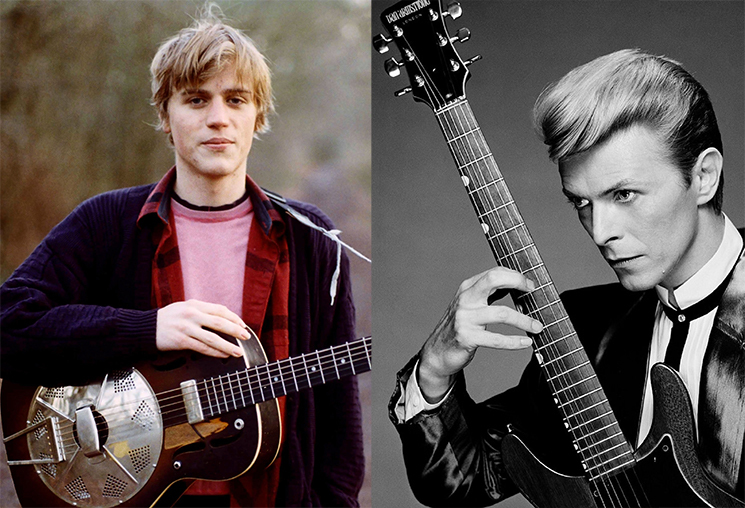 We already learned about a Celiné Dion film today, and now the David Bowie biopic Stardust has found its David Bowie. The film will star Johnny Flynn, the folk musician turned actor who's best known for starring in the Netflix series Scrotal Recall (yes, we know they changed the title to Lovesick but we'll never forgive or forget the original name). In addition to Flynn, the film will star Marc Maron as Bowie's manager and Jena Malone as his first wife Angie. The film will focus on Bowie's first trip to America in 1971. Stardust will be directed by Gabriel Range using a script from Christopher Bell. It will be produced by Salon Pictures.